I love primroses because they hint that spring is just around the corner. With their bright and colorful flowers, they can brighten even the dreariest of winter days. Images of primroses have classically been used for years in the English decorating style. 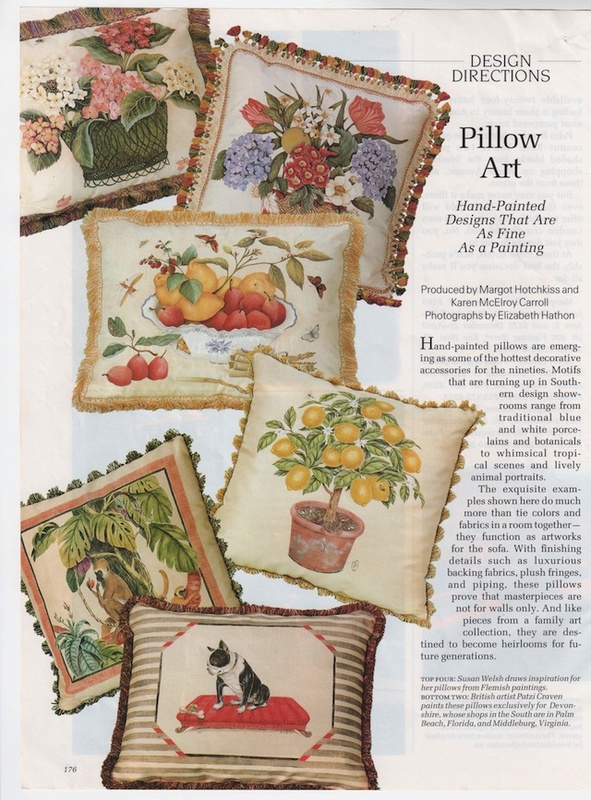 They can be seen in botanical prints, needlepoint, china and pillows. The auricula is a species of the primrose. How cute is this primrose cake? Leave it to Martha! This cupcake looks really scrumptious. I love these colors. So cheery! I bought this old basket a few years ago at an antique store. Love my primroses! I think that anything looks good under a cloche. Primroses are perennial, blooming in early to mid-spring. They are shade-loving and do as well planted in moist, shadowy areas of the yard as containers. Although they are perennial, I usually buy new ones every spring. My thumb isn't quite green enough to keep them alive during our hot Texas summers. If you decide to try them, I know that you'll enjoy them as much as I do. Good luck! I adore the primrose tea cup! Too precious. Thanks! I can always find great images, thanks to Pinterest. So glad that we have it available.